Caroline and her family have been offering high standards of accommodation and service at the Stella Alpina for years, which is why our guests come back year after year. The hotel bedrooms feature beautiful handmade wooden furniture and the welcoming après-ski bar on the ground floor with its open fire is ideal for a proper Italian coffee or welcoming apertivo at the end of the day. 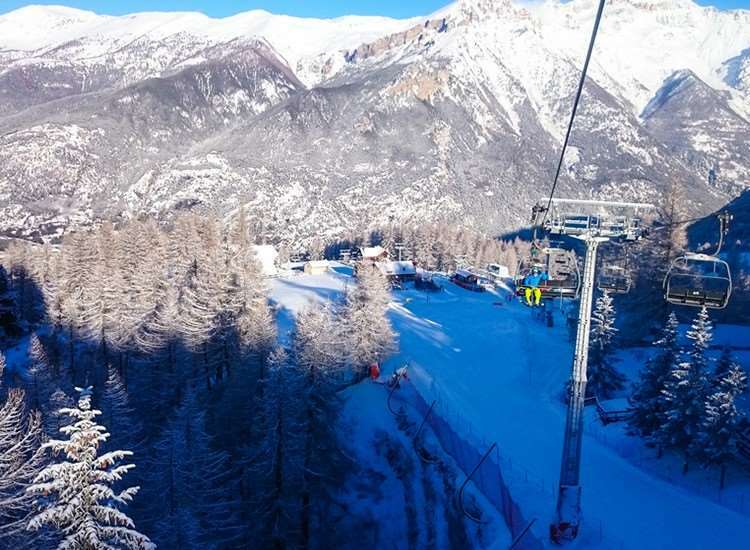 Being located at the bottom of the home run into Sauze and right by the Clotes chairlift, the Stella Alpina is the perfect choice for skiers and boarders wanting a convenient, comfortable and homely base. The crèche is ideally situated at the foot of the slopes in Sauze d’Oulx. You can drop your children off on your way up the mountain and they will be looked after for anything from 1 hour, all morning or all day. They will be kept amused with toys, games, videos, painting and drawing. There is a sleep area for the smaller ones that might need to have a rest. Weather permitting we have a natural playground outside where we can build snowmen, snow castles and go tobogganing. Rooms (2-4 people): Comfortable twin rooms, some with an extra bed for a child only and triple rooms with an extra bed for a child only, have flat-screen satellite TV, shower, wc & hairdryer. Superior rooms with a jetted bath are available on request. Half Board. Continental buffet breakfast and three course evening meal. Christmas & New Year meals included. The hotel is in a perfect location for the slopes and town. The hotel has it's own bar with a selection of food, it also owns the ski hire shop opposite with a heated boot room. On arrival we booked our skis in for a full service at 22euros a pair and were ready at 9am the next morning - that's so much cheaper than in UK. The hotel was clean and tidy. Our room was a little small but adequate with the added bonus of being at the back of the hotel away from the road. We were a group of 14 including 3 children. Each party is allocated their restaurant table at the start of the holiday so we were sat together all week. Breakfast was a standard continential but did the job, evening meals (all 7 nights) were 4 courses starting with a self service salad bar, the other 3 course were good portion sizes to a good standard. At the start of each day there was a short trip up a 'magic carpet' to get to the Clotes chair, this can be a bit tricky if it has snowed. Plenty of good skiing throughout Vialattea ski area unfortunatly we had to take a bubble down into Sestriere but was worth it. Sansicario on the other hand was my favourite, plenty of wide reds through the trees with very few lift queues. Our favorite cafe stop for 2011 was off the top of the Triplex chair, a little hack off piste is required but well woth the effort. The only negative of the holiday and is not mentioned in the holiday details is that you have a 10-15 minute up hill walk to your hotel from the coach drop-off point after leaving your luggage there. Ours was delivered to the hotel in good time but is always a concern. And just to finish off the holiday is the delight of Turin Airport, all I can say is it is improving year-on-year! We were exceptionally lucky with 50 cm of snow the day following our arrival and a further 30 cms two days later. The skiing was great to say the least. The hotel and ski deposit couldn't be better situated and the ski hire shop is the best we've experienced. The rooms in the hotel are adequate as is the food. The menu could stand improvement as can the availability of fresh and nicely prepared veg. The hotel staff are exceptionally friendly and hospitable. Sauze d'Oulx has some hidden gems for restaurants if you are prepared to look beyond the beaten track.